Jordu Schell makes monsters; icky, scary, grotesque and hairy, monsters, aliens, creatures and beasties of all manner and configuration. Schell is a sculptor and concept artist working in the film industry. His credits include Avatar, Leigon, War of the Worlds, Hellboy, Galaxy Quest and many other feature films. Schell is primarily a sculptor, working in clay and other physical materials, not 3-D CGI sculpture. 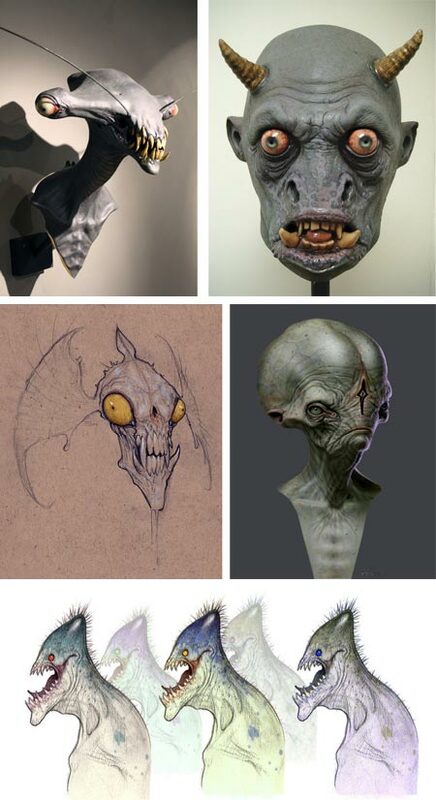 His studio creates masks, maquettes, busts, full size sculpture and other three dimensional visualizations of imaginary monsters, creatures and alien life forms for film concept design. Like many sculptors, Schell also works in two dimensions, drawing sketches both as preliminaries for sculptures and as an end in themselves. His Monster of the Day seems to be primarily for his own amusement. Schell’s site has galleries of his studio’s work in many areas. Be aware that most sections have multiple pages, accessed by a row of small numbers to the lower right. The Illustration and Monster of the Day sections in particular go on for many pages. The sculpture sections often feature many images of the piece both preliminary and finished, in multiple positions. Some of his preliminary pieces have a nice “sketch like” quality, if you can apply that term to clay. There is also a blog, on which he posts the Monster of the Day sketch as well as posting about more finished works. Unfortunately, I just missed telling you about Schell while there was a show of his work at Gallery Nucleus, in California. The gallery still has pieces for sale, however. If you like fun scary monsters, beautifully done with great attention to surface texture and color, as well as nicely imaginative sketches of wildly bizarre monster concepts, Schell’s work should keep you happily knee deep in monsters for hours. Addendum: There is an article on Schell in issue #2 of Dan Zimmer’s HorrorShow Magazine. Jordu Schell was also profiled extensively in HorrorShow Magazine #2 (http://www.horrorshowmagazine.com/preview2.html , which is sporadically produced by Dan Zimmer, the publisher of Illustration and ILLO magazines. Thanks, Dan. Good to know! For other readers, I haven’t seen Horrorshow Magazine, but I have a high regard for Zimmer’s other publications, and I expect anything he publishes to be first rate. 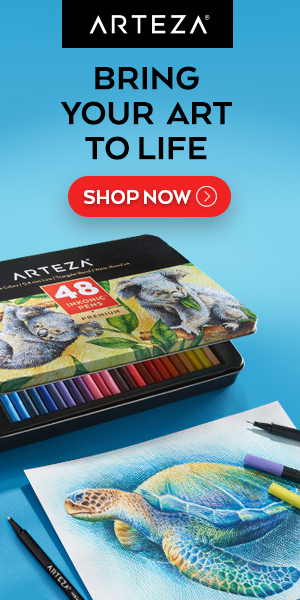 Here are my posts on Illustration & Illo, and Illo 2, and Andrew Loomis in Illustration Magazine. this is extremely cool – interesting to see the pix and then the sculptures.